Close to 18 lakh students will appear for Gujarat board exams this year. New Delhi: Gujarat Secondary and Higher Secondary Education Board, commonly known as GSEB will begin board exams on 12 March 2018. The Board has released the exam date sheet at its official website gseb.org. 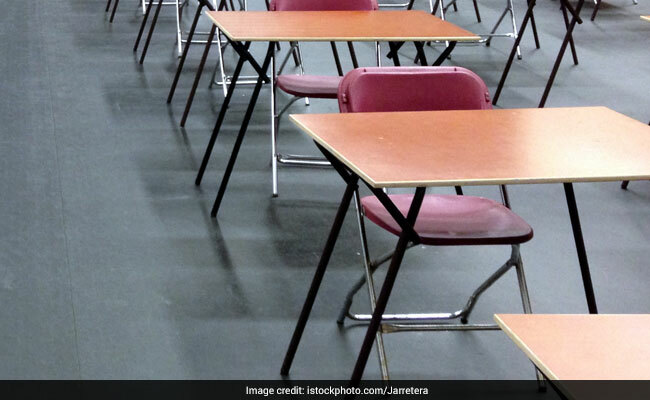 "While the registration for boards are going on, approximately 17 to 18 lakh students will appear in boards this year that includes 10 lakh for SSC, 5.5 lakh for general stream and nearly 1.5 lakh for Science stream," RI Patel, Exam Secretary, Gujarat State Examination Board, said to leading daily DNA. Class 10 (SSC) exam will continue till 23 March and the class 12 board exam will continue till 28 March 2018. Last year, close to 18 lakh students appeared for the board exams including 178 jail inmates. CBSE students in the State can expect an early exam than their State Board counterparts. With board exams scheduled in March 2018, CBSE is all set to release the date sheet for class 10, 12 exams in the first week of January. 'Since the Board is currently working on the formalities of the exam, an exact date for the date sheet can't be ascertained at the moment. However the date sheets will be released in the first week of January. ' confirmed the Board officials.